Just a silly little idea. Teletubbies became too popular for it's own good, and while there were many complaints, the one most people remember was the question of Tinky Winky. Was he meant to be gay? He carried a red purse around with him, and even wore a pink tutu! The last one seemed especially silly to Danes because our single most iconic children's character is Bamse (Teddy) from "Bamse og Kylling" who is very male and often wear a tutu when he wants to be pretty. He even fought his gender-less friend Kylling (Chicken) for it a few times. He never really got popular outside of Denmark, so he is still around, tutu and all. I didn't even notice Tinky Winky's purse until it was mentioned in Schmoyoho's Charlie Sheen autotune thingy, loooong after I stopped watching Teletubbies. Didn't know about the tutu until today. Isn't he rip off of that Swedish bear? Teletubbies was and still is (I think?) a part of Finnish kids Sturday morning and I remember growing up watching it! 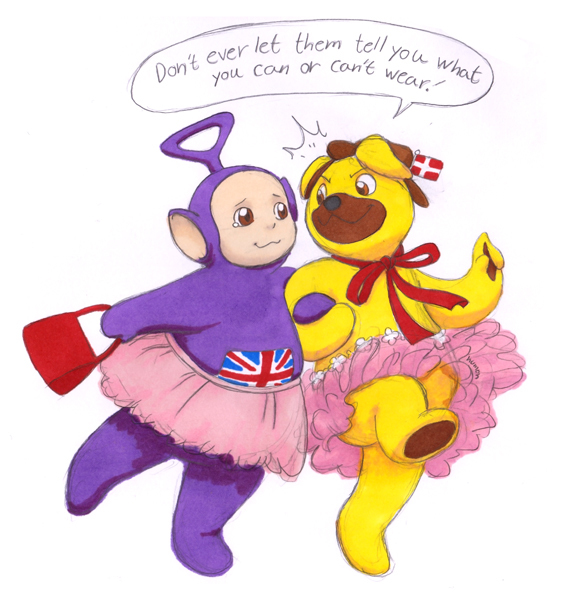 I've never got why it was a big deal for Tinky Winky to have a red purse and a pink tutu. It felt completely normal to me as a child, and it still does. And another Bulgarian jumping in on the Bamse bandwagon. Has to be that same one. No, really, HAS to be. Oh wait, Bamse og Kylling is someone different. I was referring to the small bear with the blue outfit. Omg, I love Bamse!! You say he never got popular outside of Denmark but I from Bulgaria (!) and I used to read comic books about him when I was little. 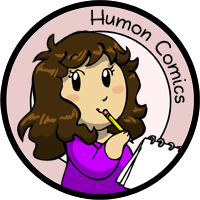 I remember there was something that looked strange and mysterious about the stories and the way it was drawn. There were some mysteries Bamse was solving and was following some masked bad guy as much as I can remember. But I always loved reading those comic books! I wish I could find some of them in English at least online.